Posts categorized "Cheat Sheets Collections(c)"
NEW! Cheat Sheets #24 released today! 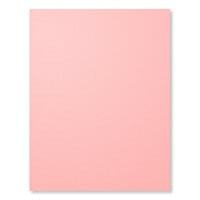 I'm pleased to announce the release of another Collection of Cheat Sheets cardmaking helpers! NO MORE mystery measurements--NO MORE wasted cardstock! Meet the brand new Cheat Sheets Collection #24! If you've already become a fan of these handy layout helpers, you know how EASY and painless good design can be, when you have a little "cheat sheet" at your fingertips! Get yourself a cute binder and start your "Cheat Sheets" library, because this is just the beginning of a long and beautiful friendship! Unlike other inspiration to be found online, which tends to lead to lots of unproductive browsing and not much actual creating, Cheat Sheets are right there physically at your crafting table, with practical but pretty projects that ordinary, busy modern papercrafters will appreciate. It's just like having ME there crafting along with you! Wouldn't THAT be fun? Each collection of these handy card-maker's helpers contains six different card sketches ranging from super easy to more advanced, with complete measurements, step-by-step instructions, and alternate layouts (sample sheet shown above). I've even included professional design hints from my time as a graphic designer to teach you why things look better placed in certain areas instead of others, and how to choose colors and patterns that will enhance and complement your work instead of compete with it. You'll learn secrets from the pros on every page! Song of My Heart's Instant Digital Downloads are available to print immediately upon payment--so you can start crafting right away! And they are rated according to difficulty, so when you're in a hurry, you can turn right to the "Easy" category. When you have more time to play and explore, flip through the "Moderate" category--or try your hand at more "Advanced" designs, including fancy folds like this Bridge Fold Card below! What's the cost? Cheat Sheets are also available individually upon their release for $10 each, or in money-saving bundles of three ($10 off). The best deal for brand new buyers is Collections 1-12 or 13-24 (NEW!) for half off individual price! Click here to visit my Etsy Shop & see my downloadable resources now! Got questions? Email me personally at Lyssa@songofmyheartstampers.com. for "real-life" papercrafters ... just like me. Instantly Download Collection #24 today! It's possible to LOVE the results--EVERY time you stamp! I promise. 100% satisfaction guaranteed. I love taking my professional design background and turning it into a handy resource that crafters world-wide are excited to use. It's my joy to teach you how the eye travels across a card and how to place embellishments for maximum effect. My hints and tips will make you feel like you've engaged a personal coach for your stamping lesson. Time to give Cheat Sheets a try. Your friends will not know what has gotten into you! NEW! Cheat Sheets #23 released today! Meet the brand new Cheat Sheets Collection #23! If you've already become a fan of these handy layout helpers, you know how EASY and painless good design can be, when you have a little "cheat sheet" at your fingertips! Get yourself a cute binder and start your "Cheat Sheets" library, because this is just the beginning of a long and beautiful friendship! Instantly Download Collection #23 today! Song of My Heart's Instant Digital Downloads are available to print immediately upon payment--so you can start crafting right away! And they are rated according to difficulty, so when you're in a hurry, you can turn right to the "Easy" category. When you have more time to play and explore, flip through the "Moderate" category--or try your hand at more "Advanced" designs, including fancy folds! What's the cost? Cheat Sheets are also available individually upon their release for $10 each, or in money-saving bundles of three ($10 off). The best deal for brand new buyers is Collections 1-12 for half off individual price. Click here to visit my Etsy Shop & see my downloadable resources now! Got questions? Email me personally at Lyssa@songofmyheartstampers.com. NEW! Cheat Sheets Collection #22 released from Song of My Heart Stampers! Meet the brand new Cheat Sheets Collection #22! Can you believe we're up to twenty-two collections already ? I can! If you've already become a fan of these handy layout helpers, you know how EASY and painless good design can be, when you have a little "cheat sheet" at your fingertips! Get yourself a cute binder and start your "Cheat Sheets" library, because this is just the beginning of a long and beautiful friendship! exclusive "Cheat Sheets" make measurements a snap! Each collection of these handy card-maker's helpers contains six different card sketches ranging from super easy to more advanced, with complete measurements, step-by-step instructions, and alternate layouts. I've even included professional design hints from my time as a graphic designer to teach you why things look better placed in certain areas instead of others, and how to choose colors and patterns that will enhance and complement your work instead of compete with it. You'll learn secrets from the pros on every page! Instantly Download Cheat Sheets Collection #22 today! Song of My Heart's Instant Digital Downloads are available to print immediately upon payment--so you can start crafting right away! And they are rated according to difficulty, so when you're in a hurry, you can turn right to the "Easy" category. When you have more time to play and explore, flip through the "Moderate" category--or try your hand at more "Advanced" designs! What's the cost? Cheat Sheets are also available individually upon their release, or in money-saving bundles of three sets, including the BEST deal, Collections 1-12 for half off individual price. Or, save $10 on every set of three by purchasing them bundled that way. Click here to visit my Etsy Shop & download now! Got questions? Email me personally at Lyssa@songofmyheartstampers.com. NEED THE ENTIRE COLLECTION, or WAY BEHIND IN COLLECTING? Email me for a quote! We'll get you all caught up. It's possible to LOVE the results--EVERY time you stamp! I promise. Ready to see Cheat Sheets in action? Watch me use one! Ready to see Cheat Sheets in action? Watch me make a card using a design from one of my Cheat Sheets Collections! This short (4 min) video walks you through making the Easy Diagonal Pleat card and gives you an idea of why so many crafters are turning to Cheat Sheets for pretty-but-practical cardmaking inspiration. You can see that Cheat Sheets are so much more than just a sketch! Up your crafting skills and productivity with these fun new resources featuring popular card designs from the past as well as brand new layouts from Song of My Heart. Not sure yet? Click here to see more information and download a free sample! Ready to purchase? Click here to go to Song of My Heart Stamper on Etsy! Love the stamp set I used in this video? Get it here! Triple Pennant Layout a snap with Cheat Sheets Collection #21! This past week has sure given a great imitation of SPRING in Wisconsin! It's not going to last, but we enjoyed the little mental break from winter's gray chill. This card made with Butterfly Basics and the gorgeous Falling in Love papers makes me anticipate the balmy breeze and emerging soft colors of spring that will actually arrive--eventually! Instantly Digital Download the complete instructions, measurements and alternate layouts to make this adorable card today! You'll love the Easy Corset Front Card, Floating Front Card, Peekaboo Gate Fold Card and the other designs that come in Cheat Sheets Collection #21 from Song of My Heart Stampers. Each Collection has six unique layouts you'll enjoy making over and over again. Not sure what Cheat Sheets are? Click here to see details, watch a video and read some reviews! New subscribers to my weekly email newsletter get their first Collection #1 totally free with no string attached... time to subscribe! Looking for a specific card fold? I'll happily point you to the right Cheat Sheet Collection. Need to get caught up on your Collections? If you are "behind" more than six sets of Cheat Sheets, email me for a custom quote! Instant Digital Download the instructions and make this sassy little card today! You'll love the Easy Corset Front Card, Floating Front Card, Peekaboo Gate Fold Card and the other designs that come in Cheat Sheets Collection #21 from Song of My Heart Stampers. Need to get caught up on your Collections? If you need more than six sets of Cheat Sheets, email me for a custom quote! NEW! Cheat Sheets Collection #21 released from Song of My Heart Stampers! Meet the brand new Cheat Sheets Collection #21--will this be your new favorite? Song of My Heart is making it affordable and FUN to stamp again with Cheat Sheets--our little secret! If you've already become a fan of these handy layout helpers, you know how EASY and painless good design can be, when you have a little cheat sheet at your fingertips! Get yourself a cute binder and start your "Cheat Sheets" library, because this is just the beginning of a long and beautiful friendship! Unlike other inspiration to be found online, which tends to lead to lots of unproductive browsing and not much actual creating, Cheat Sheets are right there physically at your crafting table, with practical but pretty projects that ordinary, busy modern papercrafters will enjoy and appreciate. Each collection of these handy card-maker's helpers contains six different card sketches ranging from super easy to moderately difficult, complete with measurements, step-by-step instructions, and alternate layouts. There's even professional design hints to teach you why things look better placed in certain areas instead of others, and how to choose colors and patterns that will enhance and complement your work instead of compete with it. Instantly Download Cheat Sheets Collection #21 today! You'll love this newest collection, which includes the "Floating Card Front" shown above. This one also has measurements and instructions for an optional gift card holder attachment! Up your crafting skills and productivity with these fun new resources featuring my MOST POPULAR card designs from the past and HOT TRENDS from the present, as well as BRAND NEW layouts exclusively from Song of My Heart. PSST... wanna see Cheat Sheets in action? Watch me make a card using a design from a recently released set of Cheat Sheets, Collection #17! This short (4 min) video walks you through making the GORGEOUS "Easy Diagonal Pleat" card and gives you an idea of why so many crafters are turning to Cheat Sheets for pretty-but-practical cardmaking inspiration. SEE what everyone's raving about! Read the reviews from satisfied stampers who can't wait for the next collection to be released. Click here to go to Song of My Heart Stamper on Etsy! Cheat Sheets are also available individually upon their release, or in money-saving bundles of three sets, including the latest bundle, 19-21). You'll save $10 on every set of three by purchasing them that way. Click here to visit my Etsy Shop & download now! I really hope you'll give Cheat Sheets a try. NEW! Cheat Sheets Collection #20 released from Song of My Heart Stampers! I'm sooo excited to announce the release of another Collection of Cheat Sheets cardmaking helpers! Meet the brand new Cheat Sheets Collection #20--it might be the best yet! Song of My Heart is making it affordable and FUN to stamp again with Cheat Sheets--our little secret! Get your newly-released Cheat Sheets Collection #20 today! exclusive brand new design "Fan Deck," shown above. Up your crafting skills and productivity with these fun new resources featuring my MOST POPULAR card designs from the past as well as brand new layouts exclusively from Song of My Heart. Ready to see what everyone's raving about? Read the reviews from satisfied stampers who can't wait for the next collection to be released. Click here to go to Song of My Heart Stamper on Etsy! Cheat Sheets are also available individually upon their release, or in money-saving bundles (1-3, 4-6, 7-9, 10-12, 13-15, and the latest bundle, 16-18). You'll save $10 on every set of three. Click here to visit my Etsy Shop & download now! I hope you'll give Cheat Sheets a try. It's possible to LOVE the results--EVERY time you stamp! I promise. NEW! Cheat Sheets Collection #19 released from Song of My Heart Stampers! Meet the brand new Cheat Sheets Collection #19! If you've already become a fan of these handy layouts, you know how EASY and painless good design can be, when you have a little cheat sheet at your fingertips! Get yourself a cute binder and start your "Cheat Sheets" library, because this is just the beginning of a long and beautiful friendship! Song of My Heart is making it affordable and FUN to stamp again with Cheat Sheets--our little secret! Each collection of these handy card-maker's helpers contains six different sketches ranging from super easy to moderately difficult, complete with measurements, step-by-step instructions, and alternate layouts. There's even design hints to teach you why things look better placed in certain areas instead of others, and how to choose colors and patterns that will enhance and complement your work instead of compete with it. Get your newly-released Cheat Sheets Collection #19 today! as well as brand new layouts exclusively from Song of My Heart. Ready to see what everyone's raving about? Click here to go to Song of My Heart Stamper on Etsy! Cheat Sheets are also available individually upon their release, or in money-saving sets of three (1-3, 4-6, 7-9, 10-12, 13-15, and the latest bundle, 16-18). You'll save $10 on every set of three. Click here to visit my Etsy Shop & download now! I hope you'll give Cheat Sheets a try. It's possible to LOVE the results--EVERY time you stamp! I promise. NEW! Cheat Sheets Collection #18 released from Song of My Heart Stampers! Meet the brand new Cheat Sheets Collection #18! If you've already become a fan of these handy layouts, you know how EASY and painless good design can be, when you have a little cheat sheet at your fingertips! Get yourself a cute binder and start your "Cheat Sheets" library, because this is just the beginning of a long and beautiful friendship! Song of My Heart is making it affordable and FUN to stamp again with Cheat Sheets--our little secret! MORE THAN JUST SKETCHES, Song of My Heart's NEW exclusive "Cheat Sheets" make measurements a snap! Unlike other inspiration to be found online, which tends to lead to lots of unproductive browsing and not much actual creating, Cheat Sheets are right there physically at your crafting table, with practical but pretty projects that ordinary, busy modern papercrafters will enjoy and appreciate. at Song of My Heart's Etsy Shop today! Once you order the PDF files, your Digital Download will be available to print once immediately upon payment--so you can start crafting right away! And they are rated according to difficulty, so when you're in a hurry, you can turn right to the "Easy" category. When you have more time to play and explore, flip through the "Moderate" category--or try your hand at more "Advanced" designs! Ready to see Cheat Sheets in action? Watch me make a card using a design from the last Cheat Sheets, Collection #17! This short (4 min) video walks you through making the Easy Diagonal Pleat card and gives you an idea of why so many crafters are turning to Cheat Sheets for pretty-but-practical cardmaking inspiration. brand new layouts exclusively from Song of My Heart. Cheat Sheets are also available individually upon their release, or in money-saving sets of three (1-3, 4-6, 7-9, 10-12, 13-15, and the latest bundle, 16-18). You'll save $10 on every set of three. Click here to visit my Etsy Shop for those! I hope you'll give Cheat Sheets a try. They have been THE answer for so many frustrated papercrafters who just need a little nudge on the design side of things. Love the results EVERY time you stamp! NEW Cheat Sheets Collection #17 released from Song of My Heart Stampers! Meet the brand new Cheat Sheets Collection #17! If you've already become a fan of these handy layouts, you know how EASY and painless good design can be, when you have a little cheat sheet at your fingertips! Get yourself a cute binder and start your "Cheat Sheets" library, because this is just the beginning of a long and beautiful friendship! Song of My Heart is making it affordable and FUN to stamp again with Cheat Sheets--our little secret! Get quick and professional design assistance without breaking the bank! Each collection of these handy card-maker's helpers contains six different sketches ranging from super easy to moderately difficult, complete with measurements, step-by-step instructions, and alternate layouts. There's even design hints to teach you why things look better placed in certain areas instead of others, and how to choose colors and patterns that will enhance and complement your work instead of compete with it. Ready to see Cheat Sheets in action? Watch me make a card using a design from Cheat Sheets Collection #17! This short (4 min) video walks you through making the Easy Diagonal Pleat card and gives you an idea of why so many crafters are turning to Cheat Sheets for pretty-but-practical cardmaking inspiration. Cheat Sheets are also available individually upon their release, or in money-saving sets of three (1-3, 4-6, 7-9, 10-12 and the latest bundle, 13-15). You'll save $10 on every set of three. Click here to visit my Etsy Shop for those! SCRAPBOOK FANS: check out my resources exclusively for scrapbooking--Scrapbooker's One Sheet Wonders Vol. 1, Volume 2, Volume 3 and the latest addition, BRAND NEW Volume 4, hot off the presses! We all want to make pretty cards, but need to be economical and efficient with our time, too. It can be done! 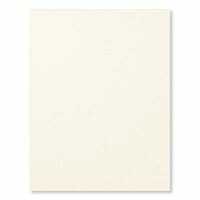 Let Cheat Sheets revolutionize your precious craft time by guaranteeing you'll love the results EVERY time you stamp. This short (4 min) video walks you through making the Easy Diagonal Pleat card and gives you an idea of why so many crafters are turning to Cheat Sheets for pretty-but-practical cardmaking inspiration. NEW Cheat Sheets Collection #16 released from Song of My Heart Stampers! Cheat Sheets continue with our brand new Cheat Sheets Collection #16! Fans of these handy layouts know how EASY and painless good design can be, when you have a little cheat sheet at your fingertips! Get yourself a cute binder and start your "Cheat Sheets" library, because this is just the beginning of a long and beautiful friendship! Song of My Heart is making it affordable and FUN to stamp again. Who doesn't love quick and professional design assistance without breaking the bank? Once you order the PDF files, your Digital Download will be available to print once for personal use only, immediately upon payment--so you can start crafting right away! And they are rated according to difficulty, so when you're in a hurry, you can turn right to the "Easy" category. When you have more time to play and explore, flip through the "Moderate" category--or try your hand at more "Advanced" designs! Totally new to Cheat Sheets? SAVE $10.00 on the Starter Collection of sets 1-3! Containing the first three sets of Cheat Sheets ever released, the Cheat Sheets Starter Collection 1-3 is the perfect way to sample what Cheat Sheets are all about, before investing in more. You can also sign up for my weekly e-news and get Collection #1 to try, totally free. Cheat Sheets are also available individually upon their release, or in money-saving sets of three (1-3, 4-6, 7-9, 10-12 and the latest bundle, 13-15 bundle). Click here to visit my Etsy Shop for those, and also to check out my FUN new resources for scrapbooking--Scrapbooker's One Sheet Wonders Vol. 1, Volume 2, and the latest, Volume 3. Need all three? Get them in a bundle and save $10! I hope you'll try Cheat Sheets today. I created them just for ME and stampers like me, who want to make pretty cards but need to be wise with our funds and good stewards of our time, too. You're going to be SO happy you discovered these cardmaking helpers! NEW Cheat Sheets Collection #15 is released from Song of My Heart Stampers! I'm so excited to announce the release of another Collection of Cheat Sheets cardmaking helpers! In 2014 we introduced our very first cardmaker's helpers PDF files, and over the past year and a half we've expanded to Etsy and beyond! Today, Cheat Sheets continue with our brand new Collection #15! Fans of these handy layouts know how EASY and painless good design can be, when you have a little cheat sheet at your fingertips! Get yourself a cute binder and start your "Cheat Sheets" library, because this is just the beginning of a long and beautiful friendship! Song of My Heart is making it affordable and FUN to stamp again. Quick and professional design assistance without breaking the bank! SAVE $10.00 on the Starter Collection! Cheat Sheets are also available individually upon their release, or in money-saving sets of three (1-3, 4-6, 7-9, 10-12 and the BRAND NEW 13-15 bundle). Click here to visit my Etsy Shop for those, and also to check out my FUN new resources for scrapbooking--Scrapbooker's One Sheet Wonders Vol. 1, Volume 2, and the latest, Volume 3. Need all three? Get them in a bundle and save $10! I hope you'll try Cheat Sheets today. I created them just for ME and stampers like me, who want to make pretty cards but need to be wise with our funds and good stewards of our time, too. You're going to be SO happy you discovered these cardmaking helpers! NEW! Free "Cheat Sheets" Index Download for Collections 1-12! Big fan of Song of My Heart's exclusive papercrafting resource, the Cheat Sheets? Well, if you've been following along, you'll be delighted to learn I've finally taken a minute to pull together an index for Volume One, Collections 1-12, so you can easily lay your hands on the one that you are looking for. There's actually TWO indexes--one alphabetically sorted, and one by difficulty level (Easy-Moderate-Advanced). Keep track of the ones you've played with already, or circle ones you want to try next--some fellow demonstrator friends are even keeping track of which layouts they have used in classes and clubs! That's a fantastic idea. I'm SO GLAD you all are loving these resources and anticipating them each month. I LOVE creating them for you. Cheat Sheets are "our little secret!" Happy creating! NEW Cheat Sheets Collection #14 is released from Song of My Heart Stampers! In 2015 we introduced our very first collections, and over the past year and a half we've grown to include thirteen different editions. Cheat Sheets continue in Volume Two, with our brand new Collection #14! Fans of these handy layouts know how EASY and painless good design can be, when you have a little cheat sheet at your fingertips! Get yourself a cute binder and start your "Cheat Sheets" library, because this is just the beginning of a long and beautiful friendship! Song of My Heart is making it affordable and FUN to stamp again. Quick and professional design assistance without breaking the bank! Song of My Heart's NEW exclusive "Cheat Sheets" make measurements a snap! Unlike other inspiration to be found online, which tends to lead to lots of unproductive browsing and not much actual creating, Cheat Sheets are right there physically at your crafting table, with practical but pretty projects that ordinary, busy modern papercrafters will enjoy and appreciate. SAVE $10.00 on the Starter Collection! Containing the first three sets of Cheat Sheets ever released, the Cheat Sheets Starter Collection 1-3 is the perfect way to sample what Cheat Sheets are all about, before investing in more. You can also sign up for my weekly e-news and get Collection #1 to try, totally free. Cheat Sheets are also available individually upon their release, or in sets of three (1-3, 4-6, 7-9, and 10-12). Click here to visit my Etsy Shop for those collections and also to check out my FUN new resources for scrapbooking--Scrapbooker's One Sheet Wonders Vol. 1, Volume 2, and the latest, Volume 3. Need all three? Get them in a bundle and save $10! Psst....I haven't had a single disappointed customer yet. and enjoy your profitable papercrafting session! Ascending Panels Layout a snap thanks to Cheat Sheets Collection #8! Circles & Strips Layout a snap thanks to Cheat Sheets! NEW Cheat Sheets Collection #13 is released from Song of My Heart Stampers! I'm so excited to announce the start of another VOLUME of Cheat Sheets! In 2015 we introduced our very first collections, and over the past 12 months we've grown to include twelve different editions. Available individually or in groups of three, Cheat Sheets now continue in Volume Two, starting with Collection #13! We will be releasing about one a month for 12 brand new collections in 2016. Fans of these handy cardmaking helpers know how EASY and painless good design can be, when you have a little cheat sheet at your fingertips! Get yourself a cute binder and start your "Cheat Sheets" library, because this is just the beginning of a long and beautiful friendship! Song of My Heart is making it affordable and FUN to stamp again. Quick and professional design assistance without breaking the bank! 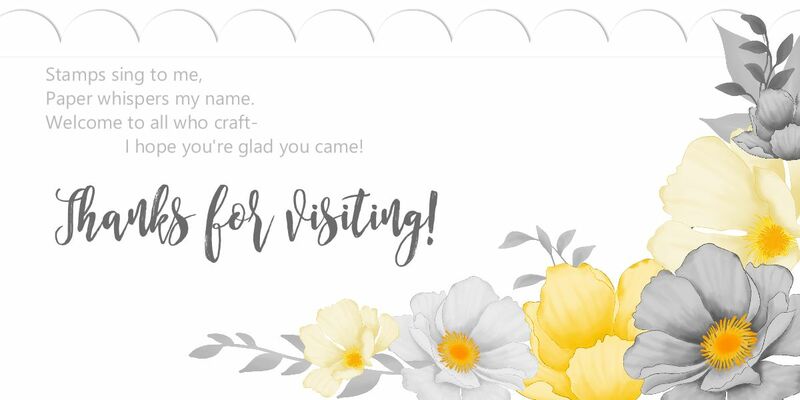 Once you order the PDF files, your Digital Download will be available to print once for personal use only, immediately upon payment--so you can start crafting right away! Cheat Sheets are also available individually upon their release, or in sets of three (1-3, 4-6, 7-9, and 10-12). Click here to visit my Etsy Shop for those collections and also to check out my FUN new resources for scrapbooking--Scrapbooker's One Sheet Wonders Vol. 1 & the latest Vol. 2!! Wanna see a sneak peek of one of the layouts in Collection #13? I thought you might! Here's the new Circle & Pennants layout that is one of the six designs in this month's collection. You're going to love them all--hurry up and get yours downloaded today! Have you heard about Song of My Heart's new Cheat Sheets Collections? Have you heard about Song of My Heart Stampers' "Cheat Sheets" Collections? They are taking the crafting world by storm! New to Cheat Sheets? SAVE $10.00 on your Starter Collection! Containing the first three sets of Cheat Sheets ever released, the Cheat Sheets Starter Collection 1-3 is the perfect way to sample what Cheat Sheets are all about, before investing in more. You can also sign up for my weekly e-news and get Collection #1 to try, totally free. Need to catch up? SAVE $10 on a bundle of three Collections! Cheat Sheets are also available individually upon their release. Click here to visit my Etsy Shop for those collections and also to check out my FUN new resources for scrapbooking--Scrapbooker's One Sheet Wonders Vol. 1 & the latest Vol. 2!! NEW! Cheat Sheets Collection #12 available now!